Back British Farming is the NFU’s public facing campaign, designed to build support for the British food and farming sector through simple actions like buying British produce, enjoying the countryside responsibly, and spreading the word with friends and family. As well as members of the public, the campaign is our call to arms for the food and farming industry and government. For more information, visit our public-facing website NFU Countryside. NFU members have been contacting their local MPs, asking them to stand up for British food and farming during the forthcoming 'Report Stage' debates on the Agricultural Bill. The NFU has published an important new report on the farmed environment, launching with a high-profile stakeholder event in London attended by Defra Minister George Eustice. Ronald Ross Primary School, London, has been named the NFU's Farmvention champion for an ingenious design for a tractor of the future. The NFU's national Farmvention competition is now officially open for entries! Farms are the perfect place to learn about science - that's the message at the heart of a brand new range of teaching packs, created by the NFU. 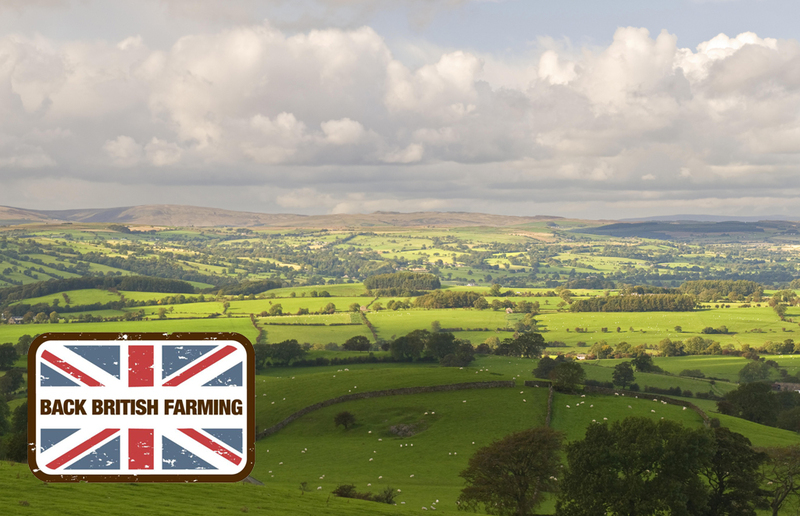 Farmers up and down the countryside are passionate about producing great British ingredients for great British food. Check our map to find out if there is a campaign banner near you.